Andrea and Damon first meet in the short story Wedding Night Stand, and their story continues in What You Wanted. This title is the latest in Mina V. Esguerra’s Chic Manila collection, which has romance books featuring female twenty-something professionals in Metro Manila. Not too long ago, I was also a female twenty-something working in an office in Manila so these books are fun for me to read because I can relate to them. They feel realistic, like the stories can happen to someone I know. Which was why I dove into What You Wanted sooner rather than later. I also like how Mina keeps partnering with Filipino fashion bloggers for her book covers. What You Wanted’s cover was designed by Tania Arpa, featuring fashion blogger Rhea Bue. Note to self: start posting OOTD shots so I can potentially be featured on a book cover. I enjoyed Andrea and Damon’s story of how they met and got together in Wedding Night Stand. I thought it was cute how they danced around their flirtation. What You Wanted is a continuation of their story and because they already got to spend a weekend together, the two of them are much more comfortable around each other. And I really liked that about them, how their sort-of-relationship felt really cozy. I liked both Andrea and Damon’s personalities and I thought they were great together. Andrea has a bit of wild side and seems like a fun person to hang out with. She likes doing spontaneous things like suddenly going off to a secluded beach hours away from the city by herself. She also tended to be flighty when it comes to relationships and the one time she was ready to become serious with someone, she got hurt pretty badly. Damon is the type of guy that seems like he has everything going for him – handsome, smart, polished and financially well-off. And yet the girl he’s been interested in for the past two years keeps dragging him along. For two people who haven’t had a stellar record in the relationship department, Andrea and Damon sure handled things well between the two of them. But maybe it’s because they tried to keep things casual – heck, it was supposed to be just a one night stand. That just kept being extended. Like I said, I really liked how cozy Andrea and Damon were together. From how willing they were to meet the other person’s friends and family, to how Andrea kept sleeping over, to how they had their meals together, to how they kept meeting around their office area… it just felt like they were meant to be together because it seemed effortless and drama-free (when it’s just the two of them). The drama only happens when other people come into the picture. It made me root for them as a couple, and I wanted them to get over their hang ups and just be together. Overall, What You Wanted probably isn’t my favorite Mina V. Esguerra romance because while I liked Andrea and feel like I could be friends with someone like her, I couldn’t relate to her in the sense that I can’t see even a sliver of myself in her. I probably have more in common with her older sister Julie, who is more steady and acts a bit like an old maid (“manang”). Damon, however, might be one of my favorite Mina V. Esguerra heroes. He’s not perfect but even his imperfections seem appealing. Plus he loves to eat good food! Always a plus in my book. The author’s Chic Manila books can be read as standalones but the latter books have cameos from the characters in earlier books. In What You Wanted, Damon and Andrea meet at a wedding where he’s a co-worker of the groom and she’s the sister of the bride. That was the wedding of Anton and Julie from That Kind of Guy. Damon also lives in the same condo as Ethan and Moira from Welcome to Envy Park. I think these little overlaps make it a little bit more fun to read the books because it makes the reader feel like all the characters are connected somehow. What You Wanted was an interesting addition to this collection and I’m looking forward to reading more romances set in Manila. A wedding, a moody bridesmaid, a man in pursuit – of someone else. As the title and the premise suggests, Wedding Night Stand is set during a wedding a few hours away from Manila. The happy couple who tied the knot? Julie and Anton from That Kind of Guy, another book from the author’s Chic Manila series. I think it’s pretty cute how these books are loosely connected. They’re standalones but it feels like a treat whenever I see cameos of previous MCs. Also, it feels realistic because even though Metro Manila has a population of almost 12 million (according to Wikipedia), it still feels like such a small world sometimes. I started reading Wedding Night Stand past midnight last Sunday. You might be wondering why I would start a book that late when I would have to wake up early the next day for work. That’s because I was in denial that the weekend is over. Anyway, this was the perfect choice because I was able to finish it in one go. And I didn’t have to give up that much sleeping time for it. It’s short, flirty, and steamy with just the right amount of sexual tension for two attractive individuals who happened to be assigned seats next to each other. Can I just say that Damon’s a really hot guy? Kulang na lang ng kanin. There’s also a tiny bit of sweetness in there, when the two characters side with each other after learning about the other person’s story. I picked this up, knowing that Damon and Andrea’s romance would be continued in another book. But I think it can stand well enough on its own. So grab it while it’s free! I first found out about Loveless. Childless. Clueless. by Miren B. Flores from Filipino romance authors Mina V. Esguerra and Chris Mariano. I saw them posting about it on social media and that made me curious. Both the cover and the premise looked interesting so I decided to try a Kindle sample. I bought a copy after finishing the sample because I liked it well enough to continue. There’s a lot of crying and punching, a trip or two, and a list of things to do and be to get her self back. There’s the heady scent of a (possible) spankin’ new man sparring with the memory of the boy who first captured her heart — and may have stomped all over it. But what would she know? After all, here she is — loveless, childless, and totally, utterly clueless. 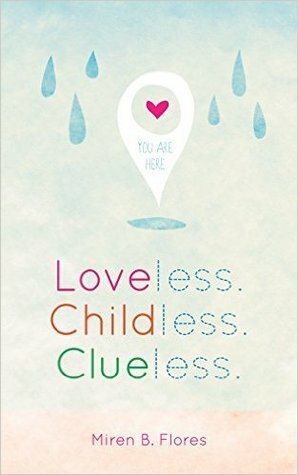 At first glance, I had a feeling I would be able to relate to this title because I am loveless, childless and clueless too (although I’m a few years younger than Anna). But more than anything, Loveless. Childless. Clueless. is a breakup book and it’s about Anna trying to pick up the pieces of her life after her fifteen-year relationship ends. It reminded me a little bit of another Filipino chick lit title Breakup Dairies by Maya O. Calica, but this book has a much more serious tone because of the age and maturity of the characters. It was easy enough to like Anna. I could understand why she chose to end such a long relationship, she could see that she and Miggy were stuck in a rut and they could see no way out of it because both of them weren’t willing to change. That kind of breakup is probably even harder to endure, because it’s not like they fell out of love. The relationship just became too much work, on top of everything else they have to face in their lives. We talk about how Paris is a city built for both lovers and loners; about how it can be both familiar and new, how she can feel like home but never get old. We talk about the museums and the gardens, the bridges and the streets, and wonder how every corner can be so darn pretty. The sea is for me. I make this declaration silently, standing chest-deep in the water, staring at that point where the horizon meets the sea. I close my eyes and revel in my favorite natural sound in the world – the waves. It’s a hypnotic rhythm, a soothing rhythm, the sweetest, I’m-so-glad-I’m-alive rhythm. A woman after my own heart! Paris was the first city in Europe that I ever visited and I will always have fond memories of it. And I can relate to how Anna describes the sea and the waves, how they soothe her and manage to give her perspective. I don’t know if that’s something that’s common to most Filipinos, having experienced the ocean and beaches throughout our lives. Like I mentioned earlier, Loveless. Childless. Clueless. has some pretty solid writing and it will be interesting to see what Miren B. Flores will write next. It makes me happy whenever I find another Filipino author to follow. I’ve been meaning to review Mina V. Esguerra’s Addison Hill series for a while now but real life keeps getting in the way. I read the books months ago, and now the series has been revamped with new covers and new titles. As mentioned in my cover reveal posts, I really like how there’s a consistent look and feel to the covers of these books. I’ve been reading and enjoying Mina’s books since I discovered Fairy Tale Fail five years ago (wow, I didn’t realize it’s been that long). I like how she keeps branching out to try different things like with these Addison Hill books which are new adult romance and set in the US, instead of the Philippines. With American characters instead of Filipino characters. Like with the rest of her earlier books, I read each of these pretty quickly… definitely faster than it took to write their reviews. Nicholas Cevasco is unlike anyone Daria Kramer has ever dated. But they aren’t really even dating – a fast fling is all they have time for. He’s heading to Japan to play pro rugby, and she’s graduating in three weeks with plans of her own. That doesn’t mean they can’t have fun… as long as they don’t fall hard. 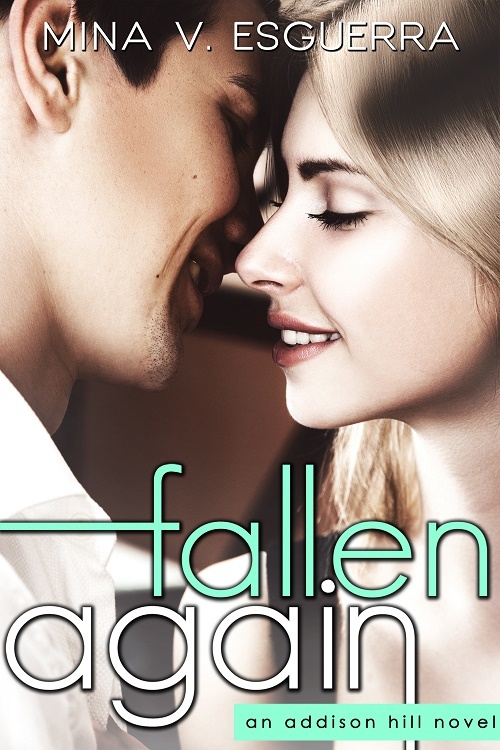 This title was previously published as The Harder We Fall. I had an ARC of Falling Hard for months. I have no idea why I kept putting it off, I think I just wasn’t in the mood to pick it up. I felt like reading something light and fun just as my new Kindle Paperwhite arrived so this title had the honor of being the first book I read on it. I literally finished this book in one sitting. I think I started reading it while having dinner and finished it before going to bed. Aside from being set in the US, other factors that made this book different from Mina’s earlier titles are: 1) it’s a lot steamier *fans self* and 2) it’s sports romance. Surely there was a pulsing heart inside of this stinking pile of guys on the ground. Massive, sweating, dirty, powerful, virile pile of… what? I knew next to nothing about rugby but that didn’t stop me from enjoying the book. It was easy to like Nicholas and Daria, and I liked how the trope of the two of them being from different social circles played out. It felt natural, and it was nice that there wasn’t any unnecessary drama. They knew from the start what they were getting into, and what conflicts might arise. Even though this was a short book, I also liked that the theme of trying to figure out what they want to do with their lives was present in the story. I think that’s always something that new adults worry about. I obviously enjoyed reading Falling Hard and was immediately curious about the rest of the titles in the series. I jumped right into the second book after reading this first one. Despite living in two different countries, Lindsay Kresta and Jake Berkeley have loved each other as friends since their senior year in college. She’s his emergency contact, his “zombie apocalypse buddy,” and his holiday dinner companion. But now that he’s known as Jacob Berkeley, star of a wildly successful TV show, he shows up with big news days before her big work conference. He wants to save forests again, work in environmental research…and he wants her. Don’t fall in love with Jake. Easier said than done. This title was previously published as Never Just Friends. Just like Falling Hard, I finished reading Fallen Again one sitting (those titles can get a little confusing). I liked the first book better but this was still a fun read. Jake and Lindsay have been friends for years, they didn’t want to label themselves as best friends so they call themselves zombie apocalypse partners instead. They never really talked about whether they can date each other, but both of them have thought about it. I liked Jake’s no-nonsense approach to this – that he finally made a move because he knew he wanted to be with Lindsay and he wanted to see if she felt the same way. Similar to the first book, I felt like there was no unnecessary drama in their story, more of a slow realization (in Linday’s part, because Jake was already convinced) of how things could be if they gave themselves the chance to be together. I also liked how involved Lindsay’s family is in their friendship/relationship. It was interesting to read about Lindsay’s job and the development work that she does. Nice way of making people more aware of the difficulties in conservation and preservation work. I thought it was nice that Jake is also interested in that line of work and they’re thrown together when he becomes a spokesperson for Lindsay’s firm. I think it’s kind of hot that Jake is a famous actor who wants to be in development. Another short and fun installment in Mina’s Addison Hill series. But you know how it goes: Soon, it becomes more than just one date – and Steph and Grayson are caught up in “living like fiction.” How long can they keep up playing their roles, before reality steps in? This title was previously called as Someone Else’s Fantasy. In theory, blogging shouldn’t take a lot of time. Read a book, then write about it. Simple, right? Obligation fulfilled to the publisher or author who sent the book, to the readers who read the blog. Blogging found me at a time when I needed people. I knew this, didn’t need a therapist to tell me. Moving to another state, starting college, figuring out how to be a fully functional adult and artist… there was so much comfort in being friends with people who liked the same things. Believe me, I tried being friends with real people, but the friendship offers stopped coming when I missed one too many dorm parties. I think Mina was able to portray a pretty accurate depiction of Steph’s blogging life. Steph wasn’t the only one I liked in this book, I thought Grayson was a great guy too. A hot athlete who’s also very sweet… what’s not to like? He’s pretty driven too. He knows what he wants and tries to go after them, the challenge is that he seems to want too many things that can’t be balanced together. From their meet cute until the end of the book, I was rooting for these two to find a way to be together. As with the earlier titles in the series, Steph and Grayson also had to figure out what they wanted to do with their lives after college. Again, I thought it was realistic for characters in that age bracket to be in that kind of mindset. Like the earlier two titles in the series, I enjoyed reading Learning to Fall. I liked the book blogging aspect of it so much that I sent it off as a Kindle gift to my own blogger friends. 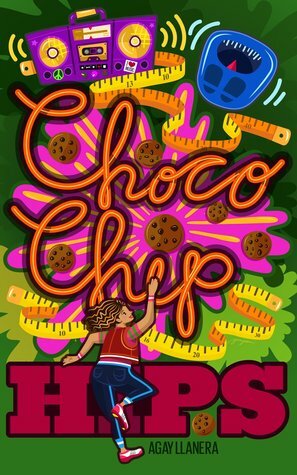 I found out about Choco Chip Hips by Agay Llanera when I saw friends posting about it on Goodreads. I was immediately curious because of the title. I read the premise and it also looked intriguing. I haven’t read anything else by the author and I thought this title would be a good one to start with. It’s Filipino YA and that’s something that I’ll always be interested to try. 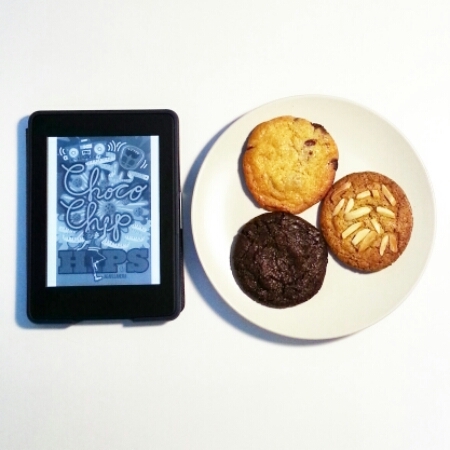 Sixteen-year-old Jessie, a baking aficionado, is shy, overweight, and worries too much about what people think. But one summer, a family emergency makes her realize that life is too short to live it on autopilot. Taking her life by the reins, she embarks on a journey that involves ditching the apron for her tank top, as she hip-hop dances her way to new friendships, stronger family ties, and into her school’s most elite club. I looked at the mug of thick, hot chocolate, like I was seeing it for the first time. The sides of the cup were smudged with dark brown liquid, dotted with grains. To get this thick consistency, you had to melt the tablea in water with milk, stirring the pot tirelessly with a wooden molonillo. You whisked and whisked until your arms protested, until the ingredients melded in a rich and silky brown. It was a labor of love. I pulled the mug closer, bowed my head, closed my eyes, and inhaled. It smelled – what was it, exactly? – full. It smelled so many things: dark, earthy, and fruity. I held the rim to my lips and took a long, thoughtful sip. “It’s not as sweet as you’re used to,” Dad said apologetically. It tasted a hint of the sweet, a hint of the bitter – the way life always had been. Argh, where can I get a nice cup of tablea hot chocolate in Singapore? Another thing that I could relate to was how Jessie enjoyed dancing. I’m a frustrated hip-hop dancer and it’s always made me sad that I don’t have the talent when it comes to singing and dancing. I even enrolled in a hip-hop class during one of my summer breaks in high school. The main thing I learned was that I don’t have what it takes to be dancer. Inspired by stories of how great a dancer her mom was back in the day, Jessie tries hip-hop dancing and discovers how much she enjoys it. I thought it was pretty awesome how she decides to break out of her shell and do something different. In the process, she gains some of her confidence back and learns more about herself. I loved how supportive Jessie’s dad is in everything that she does, the two of them were really a team. I also though both Kim and Dave were good friends to Jessie, in their own ways. I enjoyed seeing their interactions. One minor quibble that I have is that I felt like the romance in this book was half-baked. On one hand, it was refreshing that Jessie’s growth as a person was centered on herself and not on another person. But on the other hand, I felt that the story could have been stronger if there weren’t any hints of romance. I would have been satisfied with a blossoming friendship instead. That was a minor issue for me and it didn’t affect my overall enjoyment of Choco Chip Hips. Honestly, I believe this is a well-written piece of Filipino fiction. It felt like the author knew what she was talking about when it came to baking and dancing, two of the major themes of the book. I will be adding this title to my list of recommendations written by Filipino authors. I’m just not sure how well the story will work for non-Filipino readers because some Filipino words are in there but no definitions were included. I couldn’t resist getting some cookies while I was in the middle of this book. They’re from Cookies For Sid: chocolate chip, earl grey and chocolate mint.